Brunei's small number of very basic homestays are oriented almost exclusively to the domestic market. Some Bruneian travel agencies can arrange tours that include overnight camping. Resorts: Over-the-top opulence - of the sort hard to find outside of Dubai - is the hallmark of the seaside Empire Hotel & Country Club (www.theempirehotel.com), known for its crystal chandeliers, gold-plated power points, gleaming marble, luxurious spa and golf course. Rural farmstay: Brunei's only rural farmstay, Sumbiling Eco Village (www.borneoguide.com/ecovillage), offers a unique opportunity to get close to nature. There's a small Iban longhouse right nearby. The village is situated on the Temburong River, with easy access to Ulu Temburong National Park. 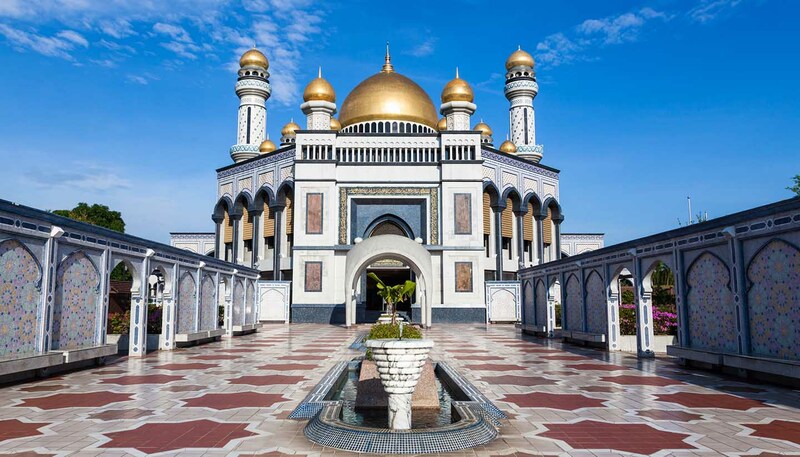 Backpacker hostels: Brunei is not known as a budget travel destination, but cheap, clean dorm beds are available in government-run youth hostels (pusat belia, literally 'youth centre') in central Bandar Seri Begawan and in Bangar, the gateway to Ulu Temburong National Park.